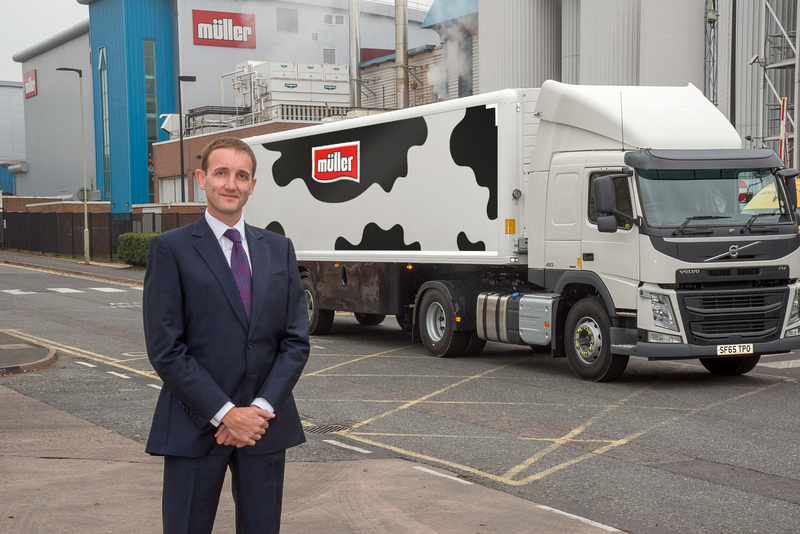 Müller plans to move rapidly to integrate Dairy Crest’s milk trading and distribution operation following completion of the takeover of the business at the end of December. Andrew McInnes, managing director of Müller Milk & Ingredients, said the new business must integrate with pace to realise its potential while continuing to maintain its focus on serving its customers. Müller has acquired Dairy Crest’s processing, trading and distribution activities relating to liquid milk, packaged cream, flavoured milk and bulk commodity ingredients. It includes Dairy Crest’s dairy facilities at Severnside, Chadwell Heath, Foston and Hanworth together with around 70 depots. These operations have been combined with Müller Wiseman Dairies to create Müller Milk & Ingredients. The business will employ over 8,000 people and process 25 per cent of Britain’s milk production, with 2,000 dairy farmers contracted to supply the business. Dairy Crest’s result for the half year to 30th September show that Dairies business lost £16.7 million (2014: £2.5 million) reflecting reduced volumes, price deflation, weak commodity markets and lower levels of depot property sales. “It is important to recognise that the status quo, particularly within the fresh milk sector, was not working and we must therefore identify and make the changes and savings required to build a combined business which is sustainable, successful and vibrant,” said McInnes. Müller, which is wholly owned by the Unternehmensgruppe Theo Müller, made it clear from the start that the acquisition would provide “an opportunity to achieve material cost savings and efficiency improvements”. Following completion of the deal, McInnes said: “We will listen to our colleagues, customers, farmers and suppliers so that we can validate and refine our plans and estimates based on accurate information. Our commitment is then to communicate the resultant changes and improvements we need to make clearly and in a timely manner.